Him: I know what you did. I saw it all. Him: I have my ways. You: I thought you wouldn’t find out. Him: But I did. I did. And I always do. You: I don’t know what to say. Him: You should probably kill your dog. Him: Because I said so. I think I would like that. Him: I am in charge. You’re not in charge. I am. Him: Nice. Don’t get me wrong, but it’s a good start. But here’s what I want you to do now. Set him on fire. Him: Set. Him. On fire. Him: Yeah. That was nice for a while. But I still don’t feel satisfied. You: What more do you want? You: No! You stay away from him! You: He doesn’t deserve this! You: Stop it! Wait. What? You: Then why are you hurting him? *Runs over to son. Cradles his lifeless blood-soaked body in her arms. * I am so so sorry. Him: Yes. That’s what I wanted to hear. Him: This is your fault. You made me do this. Now apologize. Him: *Walks up to her. Whispers in her ear. * I love you. 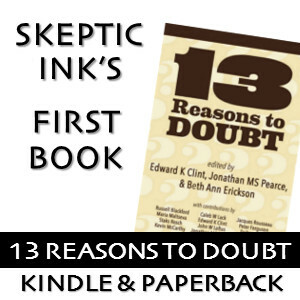 If you liked what you just read, click here to get all 8 of my atheist books.